Cement brick machine for sale can produce high quality bricks of all kinds of sizes and shapes without burning. Common raw materials are construction waste, industrial waste residue, furnace cinder, mineral slag, fly ash, stone flour, sand, pebble, etc, mix them and water according to a certain proportion, then cement bricks are produced. 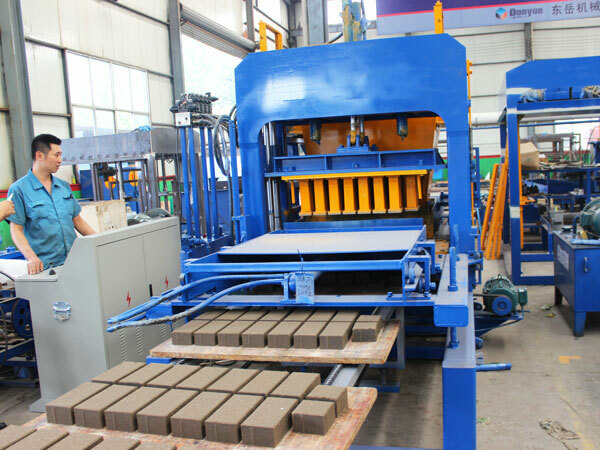 By changing the moulds, our cement brick maker can produce stand brick, hollow block, perforated bricks, which is a multi-functional brick machine. 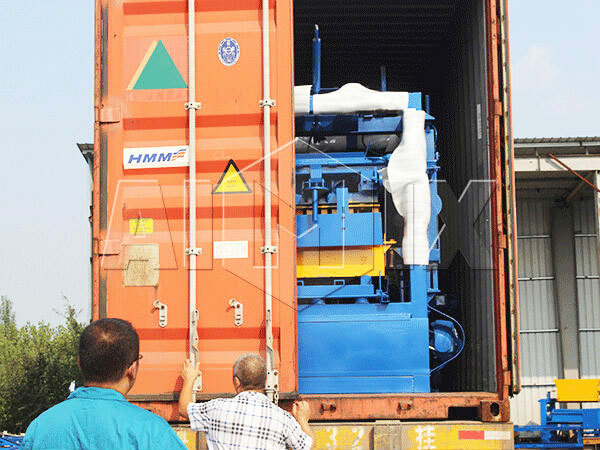 This machine has characteristics of low investment, quick returns and easy operation, which is very popular among all of investors. Moreover, we have automatic cement brick making machines for your reference,which is equipped with PLC control system, can achieve automatic and mechanical operation, which is very efficient. 1. Reasonable design. 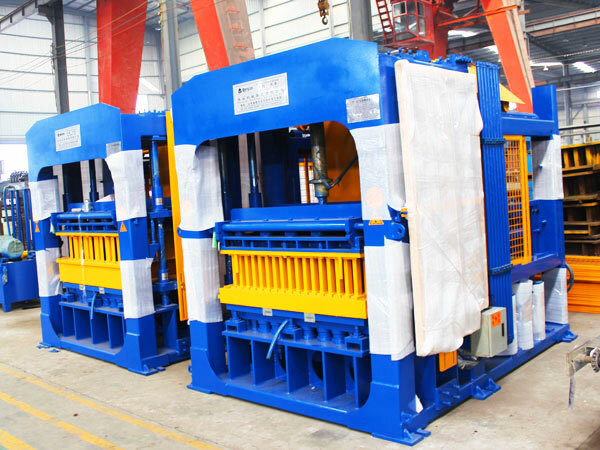 We adopt automatic shuttle board system, conveying materials, splitting materials, compulsory materials placing system, head synchronization and frame synchronization system, can achieve automatic and cycling production, productivity is high, can produce a large quantity of bricks, and quality is stable. 2. PLC intelligent control. 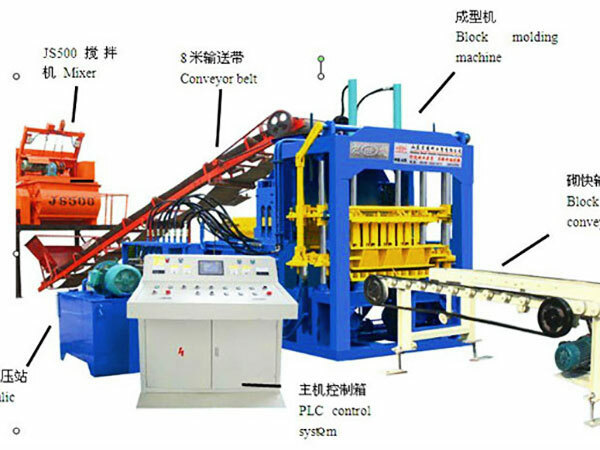 Cement brick making machine realizes electromechanical and hydraulic linkage, program can lock and achieve self protection. 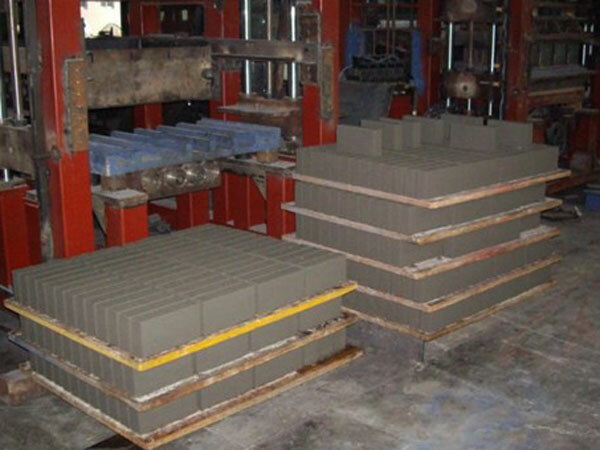 Our cement brick making plant can realize safe and reliable operation. Main console, we use computer operation, can achieve formula setting and save, random signal acquisition and trouble diagnosis analysis, and adjust the machine into good working condition. Through remote communications, our cement bricks manufacturing machine can achieve remote control, fault inquiry and system upgrade. 3. 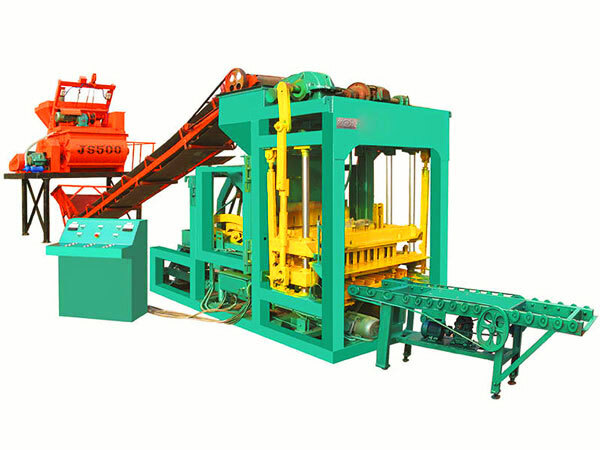 Our cement brick block machine use hydraulic motor vibration, has features of reasonable structure, reliable use, high vibration efficiency, achieve perfect combination of press and vibrate, finished bricks have good compactedness. 4. Wide application. Our cement brick making machine for sale can produce all kinds and all shapes of bricks. 5. Advanced hydraulic elements. 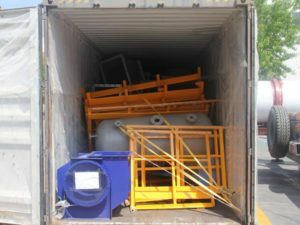 We adopt advanced hydraulic element, make the machine much more stable and reliable. Effective excitation system design, use computer to control traffic pressure of hydraulic system., improve the density and service life of casting box. QT10-15 cement bricks machine belongs to large scale machine, users need to do site planning in advance, deal with the ground foundation. The followings are details of ground foundation dealing method. 1. You need to prepare a workshop, length of 26 to 30 meter, width of 8 to 15 meter and height of 5 to 6 meter. 2. The place where to steady the host needs 4m*2m cement floor, cement thickness should be adjustable, it all depends ground conditions, generally should be 600mm to 700mm, if there is sand, should deepen it. 3. Above the embedded iron should arrow and do flat. 1. Check whether the height of finished bricks is higher than designed. 2. Check whether there is break or unfilled corner. 3. Listen whether there is noise when lifting, ensure the good lubrication of upright. 4. Time of materials placing can’t be too long. 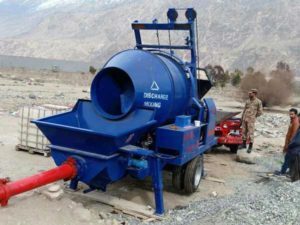 Do above things perfectly, your machine will have a long service life, and it will save the cement bricks making machine cost. 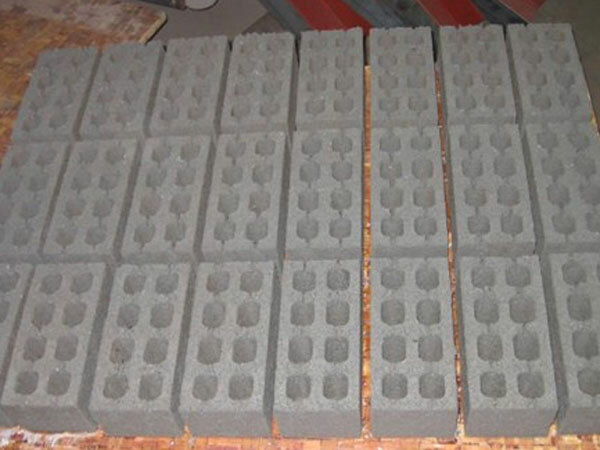 We won’t publish our cement bricks manufacturing machine price, because price is not fixed, it will be affected by many factors, such as, types, capacities, shipment, destination, amounts, spare parts, components, technologies, etc, therefore, if you are interested in our cement brick machine for sale, you can leave your requirement on our website, we will quote you best cement bricks plant price according to your condition. For the cost, in addition cement bricks machine price, you need to add later cost, such as, maintenance cost, repair cost, spare parts cost, etc. But one thing you need to remember, do regular check for your cement bricks manufacturing plant, cement bricks machine cost will be low. 1. 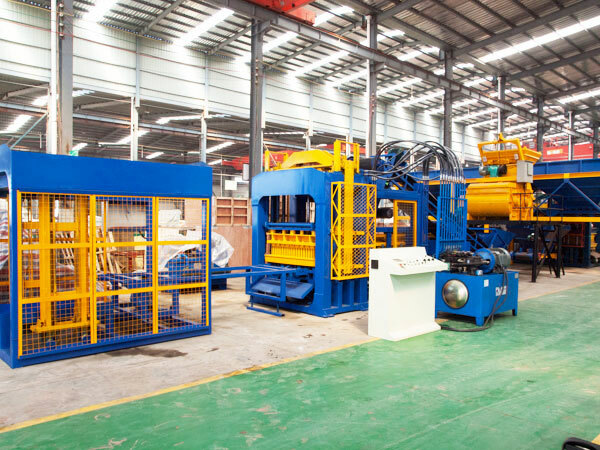 When we receive your inquiry, we will tell you more details about the machine, send you brochure, cement brick making machine video, bring you to our factory, etc, we will try our best to let you know our machine, and choose our cement brick manufacturing plant. 2. 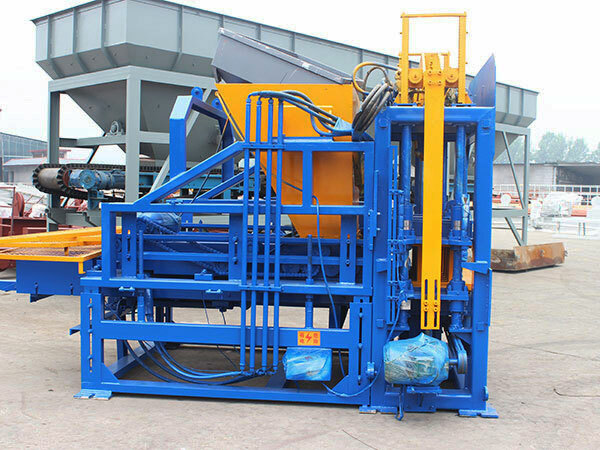 When you place an order to our cement brick machine for sale, our salesman will help you monitor the whole production process, such as, production, assemble, test run, disassemble, painting and shipment, until the machine arrived your city successfully. 3. 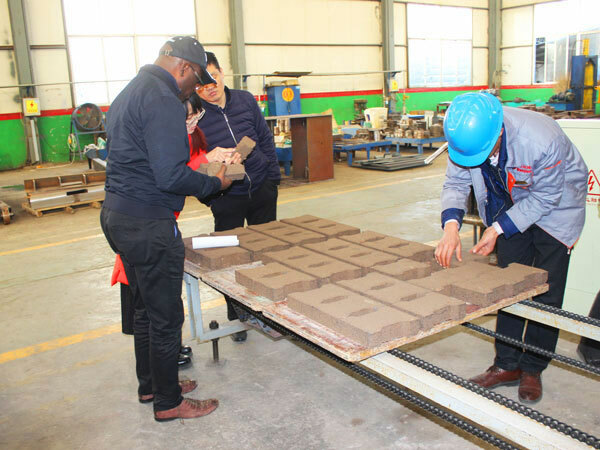 When the cement bricks machine arrived your city, we will send our engineer to your site, help you assemble and test run the machine, moreover, our engineer will teach your local operator how to test run, operate and maintain the machine. 4. We have specific after-sales service team, they will do regular survey about your service condition, and help you out. 5. We have spare part supply warehouse, we can arrange spare parts shipment within 48 hours once you need. There are many cement brick making machine suppliers on the market, if you want to get a best machine, you must be considerable. Selection of manufacturer of cement brick machine is very important, it relates whether you can get good cement brick machine for sale, even good after-sales service. Then, you need to think about cement bricks plant cost, everybody want to spend less and earn more, you need to operate the machine according to the specifications. What’s more, we have established oversea office in Pakistan, Philippines, Sri Lanka, Indonesia, Uzbekistan, any problems for cement brick machine for sale, please contact us as soon as possible.